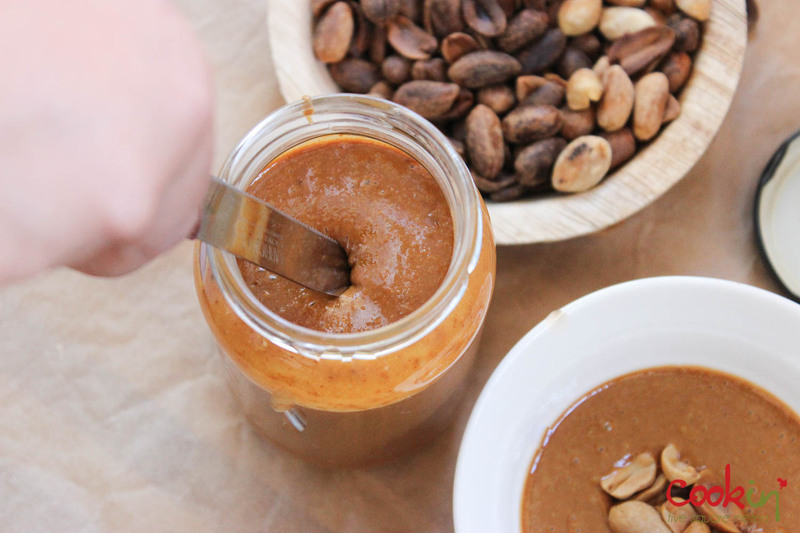 Still skeptical about homemade nut butters? The first time I tried peanut butter, I bought a common brand jar. The content was firm like soft cheese and can be scooped, actually cut leaving the spoon clean. I tried it and was not impressed at all. A thick fatty and salty mixture with a very unpleasant taste. Tasting other brands in giving it another chance got me hooked. But looking at the ingredients, I got concerned. Yes, I read the label. And you should too. 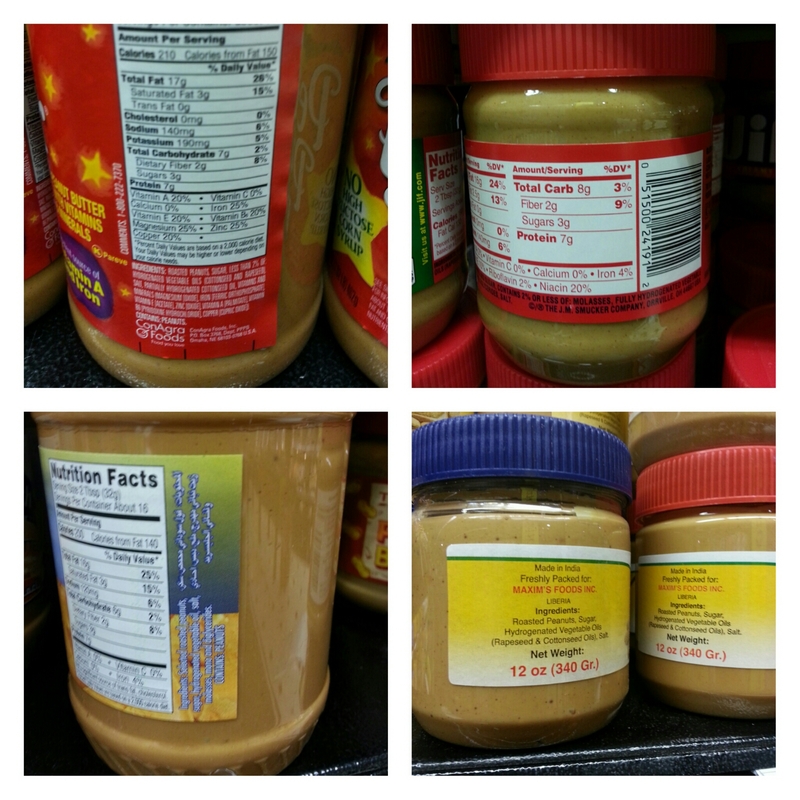 I snapped a few photos of the ingredients of peanut butter jars available at a supermarket. See for yourself. You are ingesting hydrogenated fats with sugar and salt. 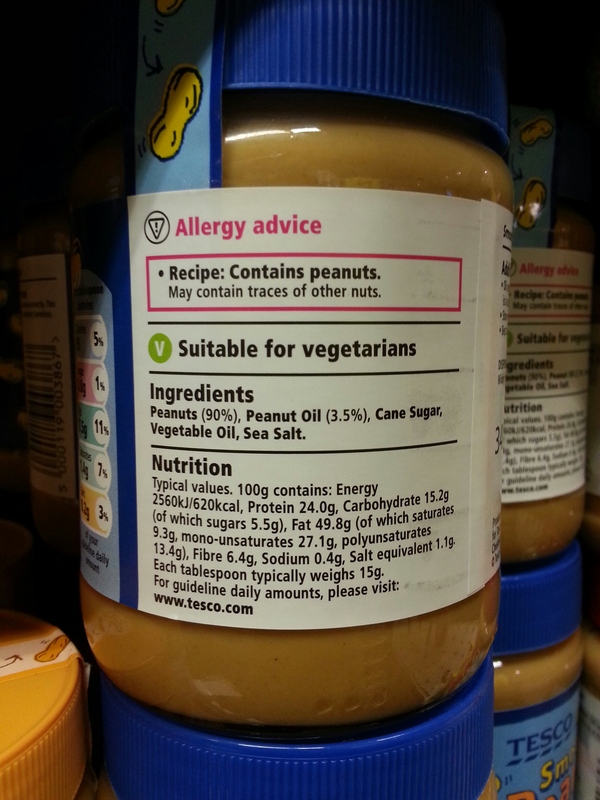 As if the fat in the peanuts isn’t enough. That’s when I decided to make my own. It can take only peanuts. Simple. A little bit of salt, sugar, or oil might be added depending on taste and need, but just peanuts is definitely a legit recipe. I have to come clean though. *puts his head down and swipes foot right and left on the floor* Sometimes, I buy…. I mean find a peanut butter jar after my trip to the supermarket. Must be the PB elves. Those sneaky elves reward me for being a good boy. Can you refuse such a gift and not indulge in some creamy goodness that sticks to the roof of your mouth? It’s a texture I’m still unable to replicate. Until I get a stronger food processor and test the outcome, I’ll have to accept the gifts from the generous PB elves. Good thing they pick wisely and they read labels. 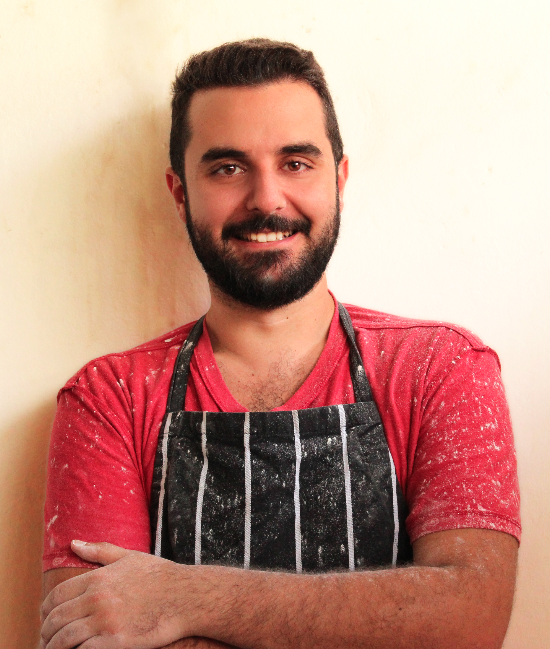 * the steps to are: coarse, fine, very fine, lumpy, rough butter, smoother butter. If the peanuts are too dry and won’t cream, add 1/2 tsp of oil and blend more. The process takes from 10 to 20 minutes depending on the power of the processor. Mine took around 20 minutes because my processor isn’t strong. Variations: add a tablespoon of honey or cocoa powder. This entry was posted in Light Section, Low-fat, Nut Butter, Recipe, Vegan, vegetarian and tagged 1 ingredient, 2 ingredients, butter, fresh, health, healthy, homemade, light, low fat, no additives, no fat, nut, nut butter, peanut, peanut butter, recipe, vegan, vegetarian. Bookmark the permalink. Products that list 10+ ingredients when they really are supposed to contain 1 or 2 are a common fact in our dear industrial times. I avoid them like pest. 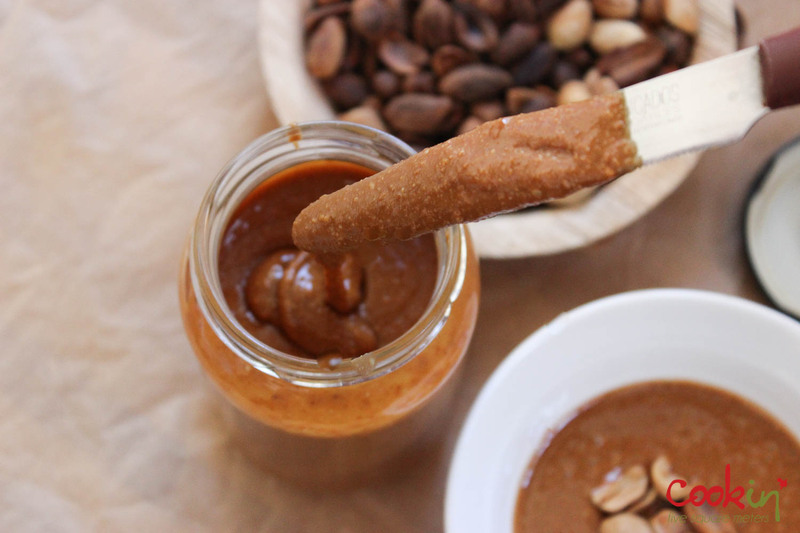 Having a good food processor is indeed a determining factor when making homemade nut butters. If you have a good machine, you don’t even need to add any oil, and can literally make a nut butter using only 1 ingredient: the actual nuts. Otherwise, I find allowing some time between one grinding/blending/processing “go” and the next to help in releasing the natural oils on the peanuts. So you can give it a a 1-min pulse, scrape, let it rest for 10 min, go do something, then come and give it another pulse…etc, till you reach the desired consistency. We are big nut butter consumers at home, and eat only stuff we make. I never add oil or salt, and I find that it makes the butters more versatile: we use them in a myriad of recipes, both salty and sweet. I usually ferment all my nuts as soon as I buy them, before doing anything with them. It improves their nutritional profile and makes them more digestible. Also, it adds an interesting depth to the taste, which you end up loving! To keep the maximum nutrition in the nuts, it is better to either use them raw, or roast them on very low heat for a longer period (it is true, roasting does impart a delicious flavour!!). Since food processors can overheat the food, it is better to use cold nuts. I use them straight out from the freezer (which is how I usually preserve them because I buy them in bulk). I only tried it with honey once on a small batch. I’ll try that again when I get a food processor.